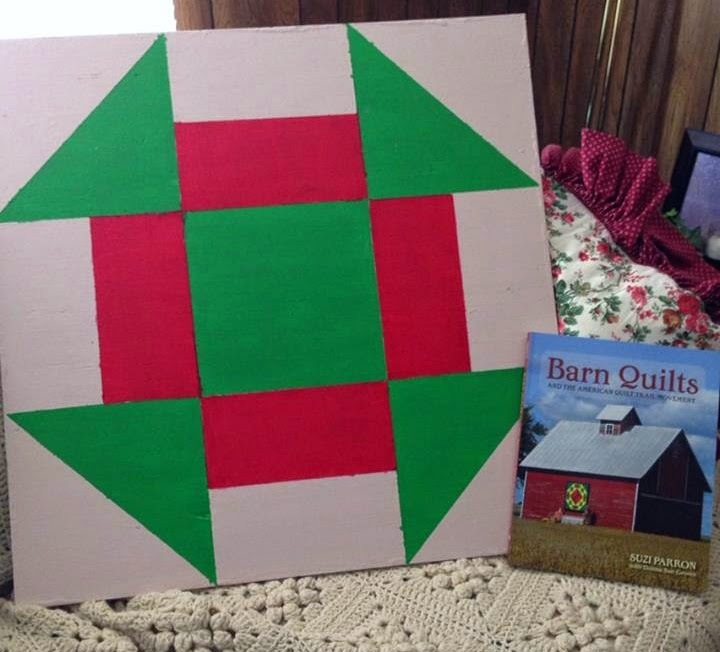 Suzi presented interesting stories about the barns, and how and why people paint the quilts on them. We broke for a potluck lunch....then...... THE PAINTING BEGAN ! Much masking tape was involved ! Yes, we watched paint dry ! Doniene, where's your masking tape ? 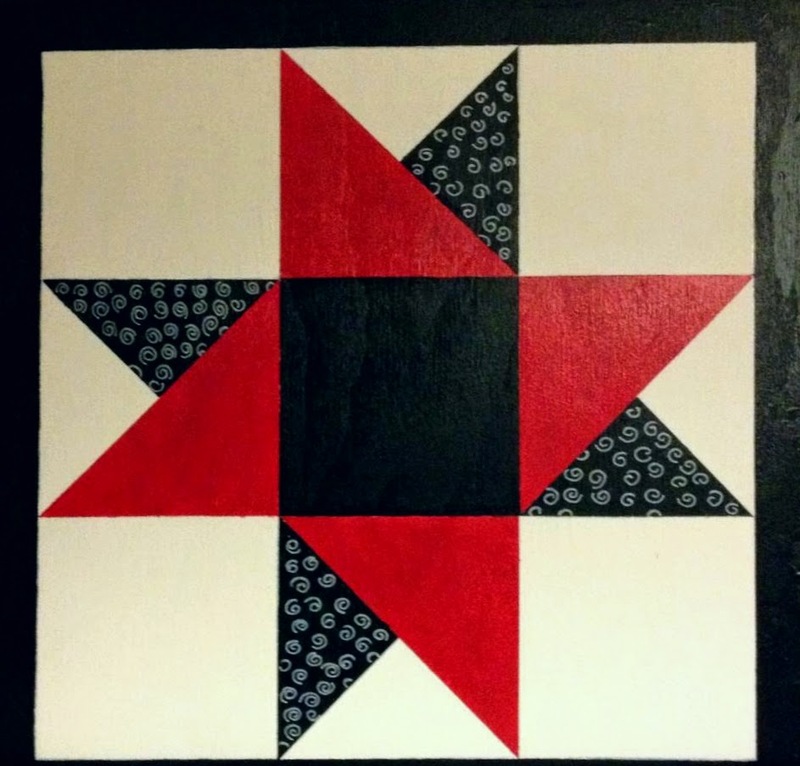 Angela's Friendship Star .....notice those STRAIGHT lines and cute curlys! 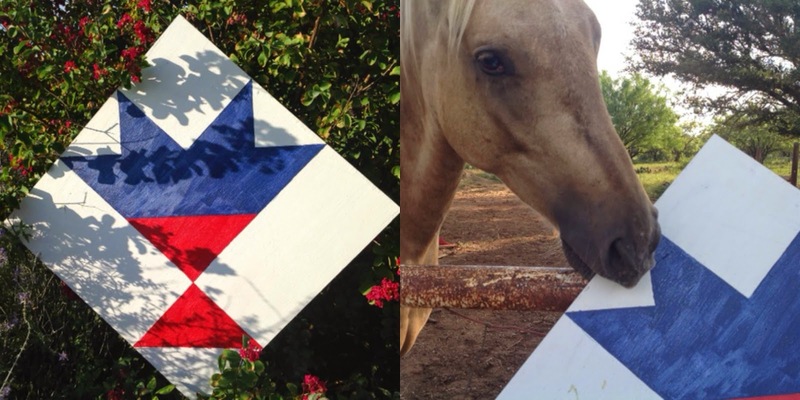 Millie's...Cisco must want to hang it IN the barn. A great day of fellowship and fun was had by all ! I had so much fun with your group! These photos bring back great memories of the wonderful time that we shared. 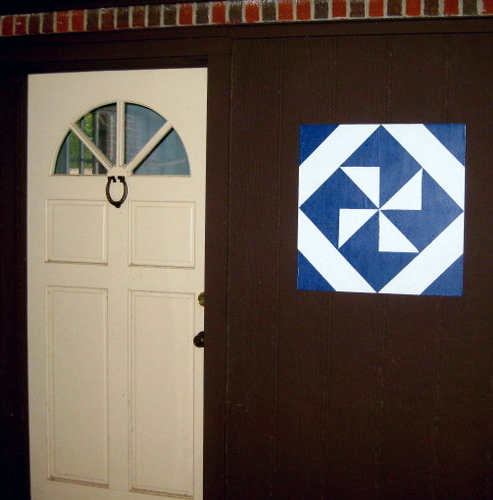 And I am glad to see some of those quilt blocks hanging!